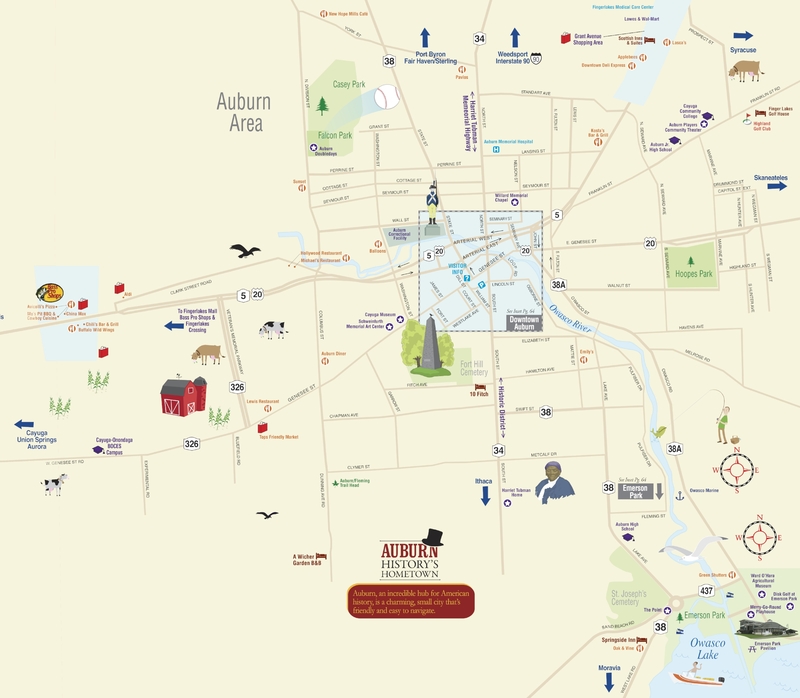 Cayuga County covers a total area of 864 square miles stretching from Lake Ontario in the north to the Tompkins County (Ithaca) border in the south with Owasco Lake and the City of Auburn in the center. The small City of Auburn is located at the north end of Owasco Lake, one of the famous Finger Lakes. It is the County Seat and has a population of almost 28,000. Auburn is home to the Seward House Museum and the Harriet Tubman Home as well as many other historic and cultural sites. 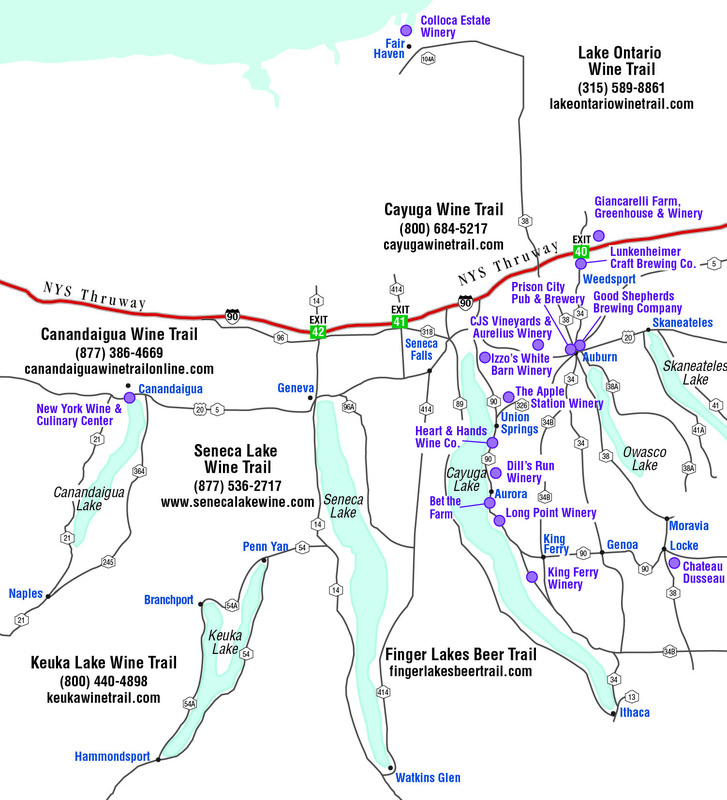 Many Finger Lakes wineries are located on wine trails that are well signed making it easy to find your way to these award-winning and unique wineries.